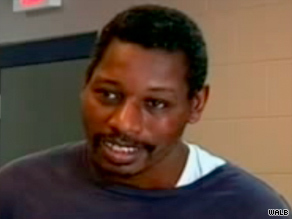 (CNN) -- Frank Hatley spent the past year in jail for being a deadbeat dad. But there's one problem -- Hatley doesn't have any children. And the "deadbeat" label doesn't fit the 50-year-old either, his supporters say. Frank Hatley had been ordered to make back payments even after he learned a teenager wasn't his son. After a hearing, Hatley was released from the Cook County Jail in south Georgia Wednesday afternoon, with the help of the Southern Center for Human Rights. Superior Court Judge Dane Perkins ruled that Hatley was indigent and should not be jailed for not being able to make child support payments. Perkins postponed a decision on whether Hatley should have to make any more back payments on child-support for a child who is not his. In June of last year, a judge ordered Hatley to jail for failing to reimburse the state for public assistance that was paid to support his "son," who, as the court was aware, is not actually his son. Hatley's attorney Sarah Geraghty, who filed a motion for his release, called it a case of "blatant unfairness." Hatley is a hard-working man who demonstrated his desire to pay what the court said he owed, even making payments from his unemployment checks, Geraghty told CNN. On top of that, "the state has no legitimate reason to pursue Mr. Hatley for child support -- he doesn't have any children," she said. The story dates back to 1986, when Hatley had a relationship with Essie Lee Morrison. She became pregnant and gave birth to a son. Morrison told Hatley that the child was his, but the couple ended their relationship shortly after the boy's birth, according to court documents. The couple never married and never lived together, the documents state. When the boy turned 2, Morrison applied for public support for her son. Under Georgia law, the state can go after the non-custodial parent to recoup the assistance. For 13 years, Hatley made payments to the state until learning, in 2000, that the boy might not be his biological son. A DNA test that year confirmed that there was no chance he was the father, according to court documents. Hatley returned to court and was relieved of any future child support reimbursement but was ordered to pay more than $16,000 that he had owed the state before the ruling. Latesha Bradley, an attorney who represented Hatley in that hearing, told CNN the argument for keeping Hatley liable for the back payments was that he had signed a consent agreement with the office of child support services. The court agreed that Hatley had to comply with the consent agreement for the period that he believed the boy was his son. Court documents show that Hatley for the most part continued to make payments. He was jailed for six months in 2006 for falling behind on payments during a period of unemployment, but afterward he resumed making payments and continued to do so even after he lost another job in 2008 and became homeless, court records state. Last year, he again became unable to maintain the payments and was once again jailed. The circumstances of Hatley's arrest didn't feel right to many, including Cook County Sheriff Johnny Daughtrey. "I knew the gentleman's plight and didn't know how to help him," Daughtrey told CNN. About two months ago, when attorneys from the Southern Center for Human Rights visited his jail, Daughtrey alerted them to Hatley's case.